Biertan is by far the most important symbol of the Saxon villages and of the fortified churches in the Sibiu County, having also been listed on the list of the UNESCO World Heritage Sites since 1993. 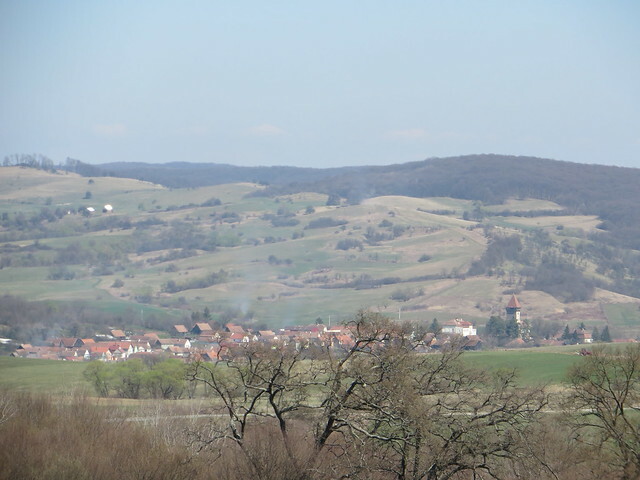 Chirpãr was our next stop during our weekend road trip in the beautiful Saxon villages around Sibiu. Travelling from one village to another was a true pleasure, as spring was on its way, everything was turning green, the landscape was something that filled us with so much positive energy. The village of Hosman was our first stop during our weekend in the Sibiu County and it was such a delight to be welcomed in this village by a beautiful view of the fortified church and the Făgăraș Mountains still covered in snow after the winter.